Statewide discussion on capital spending begins. Governor Bruce Rauner announced on Tuesday, April 21 that he will soon start an infrastructure Listening Tour (http://www.idot.illinois.gov/about-idot/stay-connected/events/Infrastructure-Investment) in which the Governor will talk to local leaders in at least 30 separate Illinois communities to hear their needs for additional help in maintaining vital local infrastructure. At the same time, Illinois House budget working groups will be meeting on FY16 budget challenges, including issues of public infrastructure. Deteriorating roads and bridges are expected to be a particular focus of the Governor’s tour and Illinois House discussions. Current projections, based on existing trends on motor fuel consumption and taxes paid, have looked at the current six-year Illinois Department of Transportation (IDOT) (http://www.idot.illinois.gov/) planning program. Current trends indicate that by the end of this six-year program 40 percent of Illinois highways, and one in seven Illinois bridges, will be in unacceptable condition. Most of the money raised by motor fuel taxes is deposited in the state’s Road Fund and used for road and bridge repair and replacement. Illinois transportation infrastructure work will continue in the 2015 construction season, but IDOT has reported to the Illinois House that the State’s asphalt infrastructure is depreciating faster than moneys are being deposited in the Fund. House, Senate reach 3rdreading deadline. The deadline refers to the ability of members of all four General Assembly caucuses to get bills they have sponsored out of their houses of origin. The “Third Reading Deadline” is the deadline for the House to pass bills over to the Senate, and for the Senate to pass bills over to the House. From here on until the end of the 2015 spring session, the House will be dealing with Senate bills, and vice versa. House Republicans will closely scrutinize these Senate bills. As of the morning of Friday, April 24 (deadline day), the Senate had sent 251 bills (http://ilga.gov/reports/static/Senate%20Bills%20in%20House.pdf) and one joint resolution to the House for further action. The House has sent 331 measures (http://ilga.gov/reports/static/House%20Bills%20in%20Senate.pdf) to the Senate. This reflects almost three-quarters (331/444) of the 444 House bills let out of House committee for floor consideration. More measures may be sent over before the deadline at the close of business on Friday. As the end of session gets closer, bill actions may move faster and break quicker than they did earlier in session. Check out The Caucus Blog (http://www.thecaucusblog.com/) for frequent updates on Illinois House legislative action. Keith Sommer bill expands Illinois tributes to fallen. A loophole in State law currently denies the tribute of a statewide memorial flag observance (flag raised to half-staff) for a man or woman killed in U.S. armed forces uniform if the person was killed in the course of duty training. This is expected to change soon. After Major Reid B. Nannen of Hopedale, Illinois, a Marine Corps aviator, was killed in a training accident at TOPGUN Naval Air Station in Nevada on March 1, 2014, his father Dale Nannen learned of the loophole and launched a grass-roots push to change State law. HB 2932 (http://www.ilga.gov/legislation/BillStatus.asp?DocTypeID=HB&DocNum=2932&GAID=13&SessionID=88&LegID=89056) will allow the Governor to issue an official proclamation of memorial flag raising in honor of men and women in uniform who are killed in training. Flags will continue to be flown at half-staff for Illinois persons in uniform who are killed in the course of active duty. The unanimous House vote to pass HB 2932 on Tuesday, April 21, was 114-0-0 (http://ilga.gov/legislation/votehistory/99/house/09900HB2932_04212015_002000T.pdf). Representative Sommer’s bill, which was backed by more than 60 House sponsors, was sent to the Senate for further action. General Assembly takes action on autism, stop-smoking programs. SB 274 (http://ilga.gov/legislation/billstatus.asp?DocNum=274&GAID=13&GA=99&DocTypeID=SB&LegID=84235&SessionID=88) authorizes Gov. Bruce Rauner to move $26 million from certain restricted State accounts. The Governor would use the money to partly reverse cuts imposed on certain hard-hit State programs. Efforts that would get more funding under SB 274 include the Illinois Tobacco Quitline, grants to service providers for children with autism spectrum disorders, funds that help provide burial services to persons who pass away without assets or a family or friends to pay for their interment, the Illinois Safe Sleep program to educate young mothers against infant SIDS, and money for programs that help persons challenged by compulsive gambling. The Senate vote on SB 274 was 57-1-0, sending the measure to the House for further discussion. Prompt action by the House will restore funds to these programs. There is a strong belief in the House at week’s end that this bill would have strong support from a great majority of members of both parties. 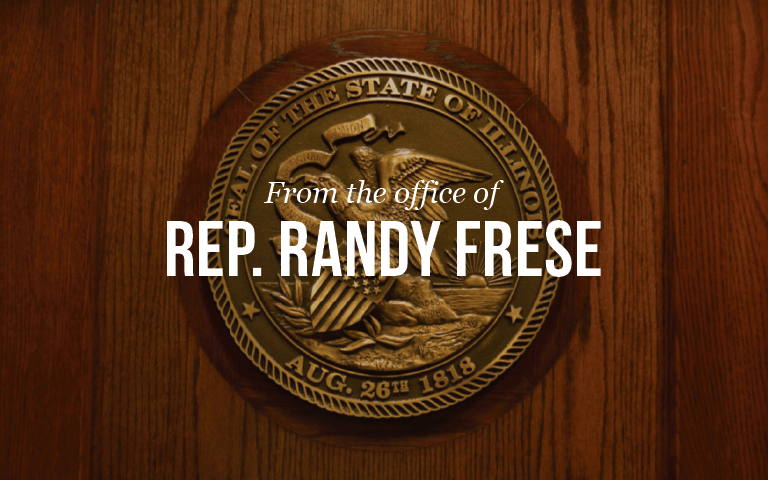 This means that when SB 274 is released from the House Rules Committee and advanced to the House floor for debate, it is likely to be passed and sent to the Governor for signature. Ongoing financial spiral leads to new spike in interest rates paid by Chicago taxpayers. In the most recent issuance of Chicago Public Schools (CPS) debt, the school system was forced to pay 5.63 percent interest on 25-year bonds. This interest rate, which was more than double the 2.78 percent rate enjoyed by debtors with a benchmark triple-A rating, represents money that will have to be paid by Chicago taxpayers over the life of the newly issued debt. The debt was issued on Tuesday, April 21 (http://www.chicagobusiness.com/article/20150421/NEWS02/150429937/financial-woes-federal-probe-drive-up-interest-rate-on-cps-bonds). The ratings imposed on Chicago Public Schools by the three chief bond rating offices were implicated in the high interest rates charged by the market. While investors continued to offer bids for these bonds this week, the interest rates they signaled with their bids were a tangible sign of the darkening financial prospects facing one of Illinois’ largest public-sector entities. The school district is facing a $1.1 billion “structural” deficit in FY16, the fiscal year that starts on July 1. The structural deficit is the actuarially-predicted outcome of various statutory and required-by-law spending pressures imposed on Chicago schools, including contributions to teachers’ pensions. Chicago Public Schools debt is currently rated at Ass3 by Moody’s Investors Service, A-minus by Standard & Poor’s, and BBB-minus by Fitch Ratings. These ratings are one or two notches above junk bond status. House moves bill to reduce penalties. HB 218 (http://ilga.gov/legislation/billstatus.asp?DocNum=218&GAID=13&GA=99&DocTypeID=HB&LegID=83876&SessionID=88), a bill worked out with some input from prosecutors and law enforcement, makes changes to the penalty schedule for possession of small quantities of marijuana. The bill creates a Uniform Cannabis Ticket and a fine (rather than a misdemeanor charge) for possession of not more than 30 grams of marijuana. Reductions in penalties are made for offenses of quantities of not less than 30 grams and not more than 500 grams. Many voices from law enforcement continued to speak out in the Illinois House against HB 218 and similar bills. Many House members continue to be concerned about the effects of this measure on the overall atmosphere of drug crime and public security. The vote on this measure was 62-53-0 (http://ilga.gov/legislation/votehistory/99/house/09900HB0218_04232015_004000T.pdf), sending the measure to the Senate. Survey shows sharp increase in Chicago-area housing values. The Illinois Association of Realtors reported double-digit gains on Wednesday, April 22. Comparing home prices in March 2014 and March 2015, realtors in the nine-county Chicago area reported an increase of 16.6% in the median price of a Chicago-area home changing hands. The median Chicago-area house rose in value from $175,000 to $204,000 (http://www.chicagotribune.com/business/ct-home-sales-0423-biz-20150422-story.html). The number of houses and condominiums that changed hands rose 11.5% during the same period. Almost all Chicago-area, realtor-supported housing transactions are supported by a mortgage lender. The trends reported by the Association of Realtors signal growing support for mortgage lending in greater Chicago and a loosening of the tight lending standards that prevented many potential housing transactions during the 2009-14 period. Many subsections of Illinois, including areas within greater Chicago, continue to suffer from home values that are lower than they were prior to the 2008 collapse in global financial markets. Adjusted for inflation, median home prices throughout Illinois have recovered to 79% of their 2008 levels. House advances bill to extend life of medical cannabis program. The program, which has granted limited numbers of permits to grow cannabis and dispense cannabis-based substances, is intended to provide small quantities of medical cannabis to patients upon the recommendation of their doctors. The medical cannabis program, a pilot program, is intended to dispense marijuana and gather data on whether this will be a successful program. The program was set to go into operation shortly after January 1, 2014, and to sunset on January 1, 2018. Bureaucratic delays have prevented the program from going into operation yet, and the House voted this week to approve HB 3299 (http://ilga.gov/legislation/BillStatus.asp?DocTypeID=HB&DocNum=3299&GAID=13&SessionID=88&LegID=89479) which will delay the date of the sunset. The new date of the sunset will be 4 years after the dispensaries open for business in Illinois. The House vote on HB 3299 was 81-28-1 (http://ilga.gov/legislation/votehistory/99/house/09900HB3299_04212015_013000T.pdf). General Assembly moves bill to encourage construction of presidential museum/library. HB 373 (http://ilga.gov/legislation/billstatus.asp?DocNum=373&GAID=13&GA=99&DocTypeID=HB&LegID=84706&SessionID=88) was amended to add language authorizing the construction of a presidential library on public parkland in Chicago. Mayor Rahm Emanuel’s office and the University of Chicago, where Obama worked as a lecturer in constitutional law, have submitted a bid to construct the library on parkland space adjacent to Obama’s former residence in Hyde Park, Chicago. Features of the Obama Library bill could also strengthen the legal position of Emanuel’s office in his separate fight to build a museum on Chicago’s lakefront honoring filmmaker George Lucas (http://www.chicagotribune.com/news/local/politics/chi-measure-to-pave-way-for-obama-library-lucas-museum-surfaces-in-springfield-20150422-story.html). Language within the bill exempts museums and aquariums affiliated with the city of Chicago from requirements that reclaimed Lake Michigan bottomland be protected if it was reclaimed for public use. The Lucas Museum plans include an expectation that the museum will charge a significant admission fee. The Senate vote of 39-13-0 (http://ilga.gov/legislation/votehistory/99/senate/09900HB0373_04232015_032000T.pdf) and the House vote of 94-16-3 (http://ilga.gov/legislation/votehistory/99/house/09900HB0373_04232015_028000C.pdf) sent this bill to the Governor for final action. The votes were taken on Thursday, April 23. Peter Breen bill aims to clarify raw milk in Illinois. Current law is ambiguous with regards to raw milk that is bought directly from an Illinois dairy farmer that maintains his or her herd under safe conditions. HB 2690 (http://ilga.gov/legislation/billstatus.asp?DocNum=2690&GAID=13&GA=99&DocTypeID=HB&LegID=88416&SessionID=88) clarifies the right of the owner of a cow, goat, sheep, or other hooved animal to sell or distribute raw, unpasteurized milk from his or her farm. The bill also explicitly directs the Department of Public Health to adopt rules governing the sale or distribution of unpasteurized milk. Consumers of raw milk have told Rep. Breen and his colleagues that the milk they want to buy is in danger. Some public health professionals would like all milk to be pasteurized, including milk from herds kept under safe conditions and protected from infectious disease. Infected milk killed many Americans during the years before World War II and opposition to raw milk reflects this history. Support for raw milk is based on the belief that Illinoisans should have the right to buy and drink it if they want. Representative David McSweeney moves bill to ban use in non-home-rule communities. Red light cameras are placed at heavily-trafficked intersections by agreement between a municipality and a business firm that operates the cameras. The machines are programmed to take images of a motor vehicle’s license plate. An office then sends automated penalty notices to the licensed owner of the motor vehicle that is registered with that plate. Nothing in current technology enables a red-light camera to see who is driving the car at the time of an alleged violation. Current law allows these cameras to be set up by willing municipalities in eight counties, all in greater Chicago and the Metro-East area. In these eight counties, the operator of the red-light camera is given the right to assume that the licensed owner of the motor vehicle was driving it at the time of the offense. For these and other reasons, constituents around Illinois have asked the Illinois House to take a look at this red-light camera law. HB 173 (http://www.ilga.gov/legislation/billstatus.asp?DocNum=173&GAID=13&GA=99&DocTypeID=HB&LegID=83869&SessionID=88), sponsored by Representative David McSweeney, focuses on red-light cameras operated in non-home-rule municipalities. With respect to these local governments, the State can change and override their ordinances by a simple majority of both houses. HB 173 gives Illinois non-home-rule units a year-and-a-half period, until January 1, 2017, to phase out and dispose of these cameras. The bill does not affect home-rule units, which are governed by a different subsection of the state Constitution. The vote on HB 173 was 79-26-4 (http://www.ilga.gov/legislation/votehistory/99/house/09900HB0173_04222015_005000T.pdf). Delays expected on many State and federal highways. When the frost season ends, the time for pouring concrete begins. The six-year road plan continually updated by the Illinois Department of Transportation (IDOT) (http://www.idot.illinois.gov/) includes many projects to rebuild, repair, or repave Illinois roads and to rebuild many Illinois bridges. A typical Illinois road project set for implementation in the 2015 summer-and-fall construction season may begin with road and lane closures in late April or early May. For example, lanes have just closed in a substantial section of that portion of Interstate 74 that goes through Henry County (http://qctimes.com/news/local/work-begins-on-i–south-of-i–in/article_45942a34-e8fd-11e4-8227-f3d682c1ab75.html). Motorists are warned to reduce speed in construction zones (http://chicago.cbslocal.com/2014/04/14/construction-season-on-tap-for-plenty-of-chicago-area-roads/). More than 4,300 motor vehicle crashes happened in Illinois work zones in 2014. 29 persons, including three road workers, were killed. State law includes enhanced traffic penalties for moving and other violations detected in construction zones. IDOT has posted information (http://www.idot.illinois.gov/Assets/uploads/files/About-IDOT/News/Press-Releases/3-24-15%20National%20Work%20Zone%20Awareness%20Week%20FINAL.pdf) on 2015 road work zone safety issues on their website. Historic state hospital building among list of most endangered historic landmarks. The Bowen Building (http://www.landmarks.org/most_endangered_2015_bowen_building_peoria_state_hospital.htm) was built in 1902 in the Peoria-area municipality of Bartonville. It was constructed as the central building of the Peoria State Hospital, a complex that pioneered humane care for persons with mental health challenges. Due to new treatments (including mental health facility construction layouts and treatment paths tested in the State Hospital) and the invention of new, pharmaceutically-oriented treatments for some diagnoses, many of the hospital’s patients were released and the Peoria complex closed in 1973. Although numerous redevelopment proposals have been discussed during the four decades since the closure, none have proved successful yet. The century-old Gothic-style building has been named by Landmarks Illinois to their statewide list (http://www.landmarks.org/endangered.htm) of 2015 Most Endangered Buildings. The Save the Bowen Foundation, current owner, believes they need to find a developer by 2015 to avoid condemnation and demotion. The Bartonville hospital landmark is well-known in the Peoria area for its location as a focus of reported paranormal activity. Ghost stories surround the building, and are attested on the Save the Bowen Building’s Facebook page (https://www.facebook.com/SaveTheBowenBuilding).